Hedi Slimane’s new bag is inspired by the brand’s archives. A photo series that takes a playful approach to our fashion fixations. For all the fashion-world talk of “the new Celine,” designer Hedi Slimane’s vision for spring is decidedly vintage. Meet the new monogram C bag, inspired by the historical square-format Celine closure, which was a signature of the brand’s bags from the 1970s and ’80s. In graphic black-and-white, the bag goes nicely with a pair of the Oxford Jacno pointed-toe shoes in glazed calfskin leather. 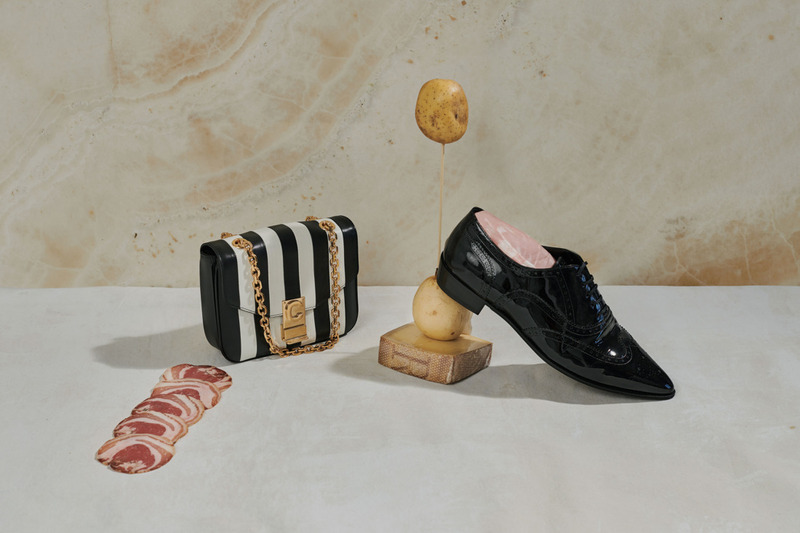 A sleek bag and a smart pair of flats — now that’s how Hedi does meat-and-potatoes fashion staples.